Be exclusively used in producing expanded feed in fish and pets. 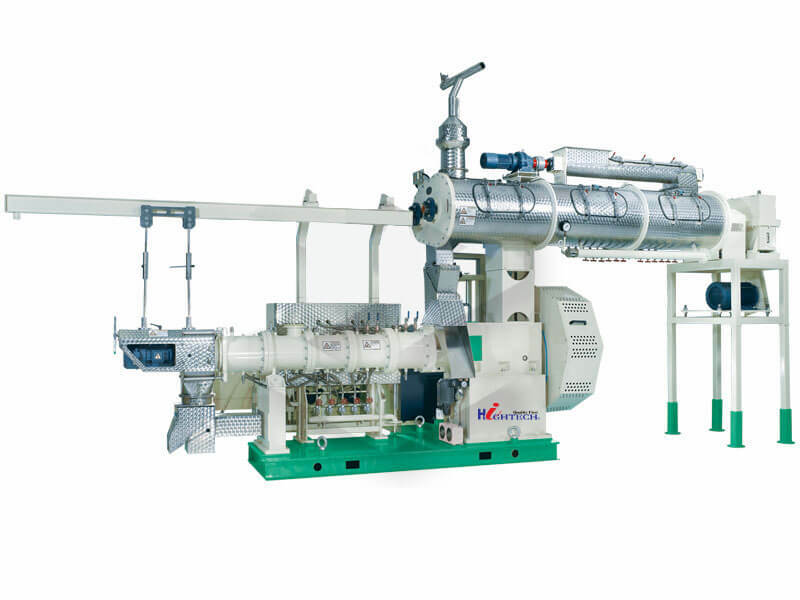 1.Effectively distribute different areas of reasonable shear force in the extrusion cavity.Increase the production effectively on the basis of high quality. 2.Adopt double-shaft different conditioner with full conditioning and good effect. 3.Parts and components adopt international advanced standard. Improve the equipment operation stability and reduce noise. 4.Feed has strong stability ,long time suspension in water.